One platform to find everything you need for real estate visual marketing. 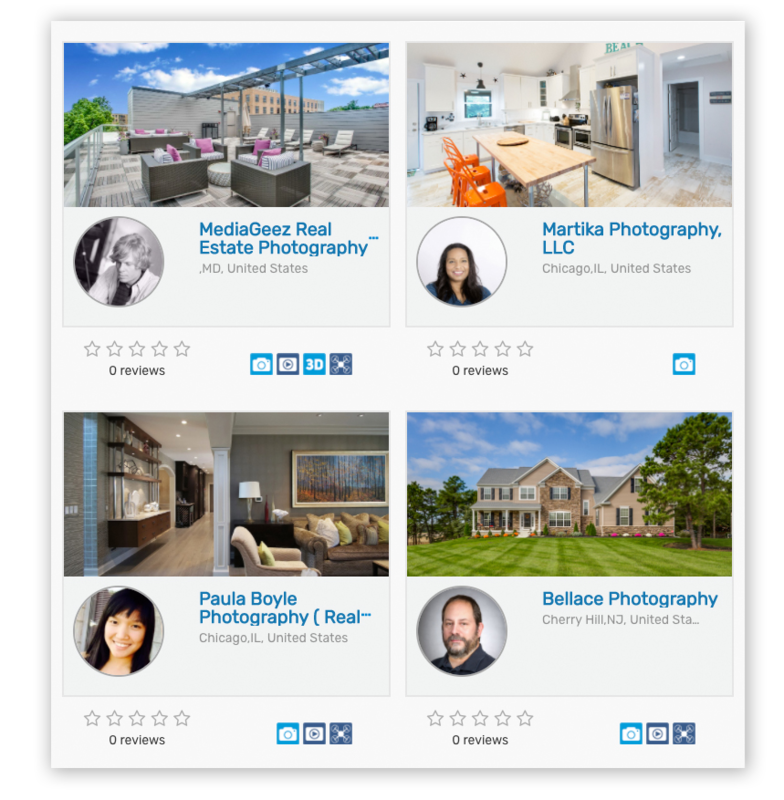 Connect directly with local photo, video, 3D, and drone pros; review and download your content; and make payments easily – all in one place! You pay only for the shoots you book – no membership fees, ever. Professional photos, video, and 3D are proven to help agents win more listings, sell homes faster, and attract better-quality leads! No fees to sign up or search – and you don’t make final shoot payment until you receive your content.